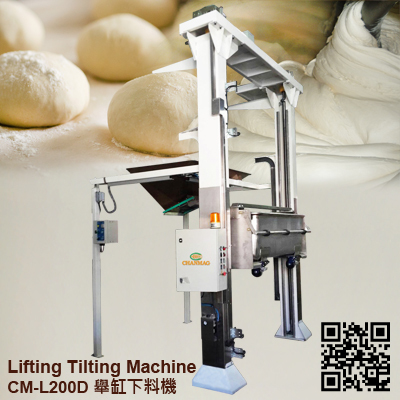 Lifting/Tilting system mainly used in conjunction with the dough transported to the next work phase. Effectively save manpower and provide work performance and reduce the chance of contamination artificial contacting dough. 2. Auto-timer-device for user’s adjusting. 3. Using oil pressure system to minimize the loss upon rub with very robust structure. 4. Hydraulic safety system, electric protection and safety railing are included for laborsaving & safety usage. 5. Designed can be made according to site production line and working space. 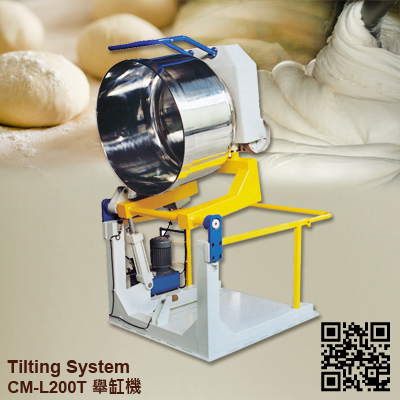 CM-L200T Tilting System is designed to work the removable mixer mixing after, the bowl dough dumped on the work table, convenient and hygienic of equipment. 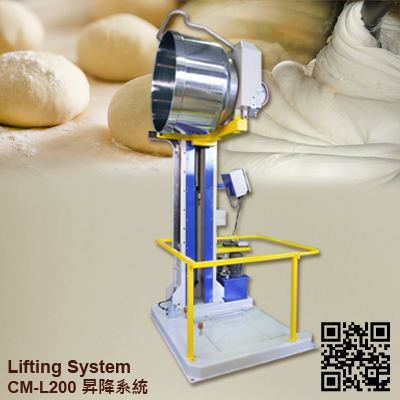 CM-L200 Lifting system is designed to work with our dough mixer poured into the lifting cylinder divider funnel time-saving, convenient and hygiene of equipment. 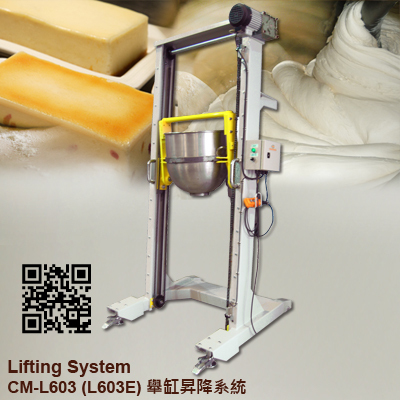 CM-L603 (603E) Lifting system is designed to work with our dough mixer for Lifting Mixing bowl into cake depositor funnel time-saving, convenient and hygiene of equipment.